Kitchen Aid killed my holiday baking :( | eating with S.O.L.E. Just the other day, just as the temperature started to drop my urge to bake for warmth was building when I noticed the clock display was blank on my oven… The entire function of my oven was dead! The stove-top was still operating yet the rest of the unit was powerless. When this happened my stove was exactly 11.5 months old… precisely 14 days before the manufactures warranty expired. I also learned since this happened that the manufacturer of this Kitchen Aid >which is Whirlpool> which is Maytag have recommended that you CAN NOT USE cast iron cookware or can food on a ceramic cooktop!!! News to me, because when we were asking the sales man at City Appliance to guide us through this purchase, with a heavy emphasis on my cooking for the masses at the farm using ONLY CAST IRON, he assured us we would have no problems with the cooktop, he raved about how well made and strong these tops were.BIG FAT LIE! Now I live in fear this oven will not only shatter again, knowing I can’t use it for the purpose I bought it for… you know to cook food (in cast iron, that’s all I have) and can food, you know I dabble in a little canning, i think I did only 350 jars this year. I am also really fearful that this unit is a lemon, if it is broken again in less than a year. The City Appliance sales man has totally snuffed me off as has whirlpool, who claim that this product fits well within the normal quality range of of a $2500 unit. It saddens me that this is the type of disposable garbage that is being produced and sold to the masses. The kicker is, not only is my stove broken right now, but my 6 month old Maytag fridge is also broken for the second time! Is everything just made to such low quality standards these days? The appliances of my mom’s generation lasted 25 years.. I was hoping for 10…. and am struggling to get a few months of functionality out of my substantial investment. ARG!!!! I WANT TO SCREAM! 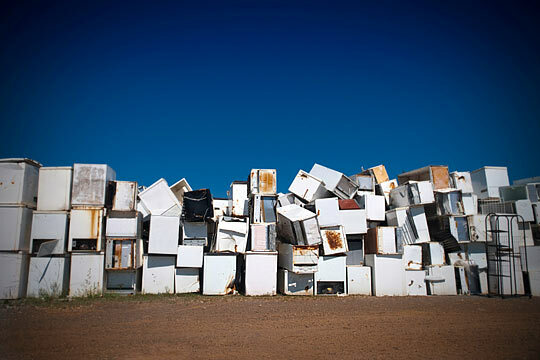 So what to do about the small investment of garbage appliances in my home? Post a rant. Cry. Scream. Plead. Burn your money… might as well rather than throw it at those corporations who care nothing about producing quality products. What now? My oven and stove top are such old friends; they came with the house in 1980; I live in dread of either of them breaking down! the new wall ovens won’t fit into the allocated space of my present one. 😦 Nor would new ones last as long as your faithful friends! You need to leverage the world of social media and make them take notice. This is inexcusable. The product is poor and needs – at a minimum – replaced. You are well within the product warranty phase so use that to your advantage. I see KitchenAid is on Twitter… Good place to start raising a stink! Yes, use social media to spread your experience. And come to my house to bake; we have a natural gas oven we love and it would be fun to have you and Mia share your Kitchen Goddess baking powers.